Records reviews of living and deceased elders regarding Testamentary Capacity and Susceptibility to Undue Influence/ Elder Abuse for DA’s and civil attorneys in Sacramento, San Joaquin, Yolo, Solano, Napa, San Joaquin, Placer, El Dorado, and San Francisco counties. Mental capacity evaluations for LPS/Probate conservatorship hearings in Sacramento, Solano, Napa, and San Joaquin counties. Testimony regarding elder financial abuse and susceptibility to undue influence for a variety of DA’s and civil attorneys in Sacramento, Solano, Yolo, Placer, San Francisco, Mendocino counties. Dr Hellman’s grand jury testimony was well organized and articulated in a manner that combined personal and academic features that was very effective in educating and convincing the jury. I have used transcripts of his testimony in training DA’s and law enforcement on undue influence. Dr Hellman’s expert testimony was pivotal in informing the judge and jury about the complexities of the dynamics of undue influence. On the stand, he combines expertise and credibility with a sense of humor, projecting an image to the jury that he is a “regular guy”. We could not have done it without him. I have worked with Dr Hellman for close to a decade both as my co chair of the Sacramento Financial Abuse Specialist Team and as an expert for elder financial abuse cases that I have litigated. His skills as a witness have been vital in moving cases along to settlements on numerous occasions. He is our go to expert in the Sacramento Valley. Dr. Hellman’s weekly case consultations on comprehensive geriatric assessment are the best and most relevant consultations in which I have participated. Each time I consult with Dr Hellman, I learn something new. In addition to his expertise in the subject matter, his compassion for elders and his dedication to their well being and mental health inspires those who learn from him. For the past ten years I have conducted hundreds of trainings and keynoteaddresses for professionals serving elders. Customers include Adult Protective Services of El Dorado, Fresno, Nevada, Placer, Shasta, Riverside, Sacramento, San Bernadino, San Diego, San Francisco, San Jose, Santa Rosa, Solano, and Yolo counties; POST Trainings for law enforcement; Annual conferences of California Association of Area Agencies on Aging, California DA Association, Kaiser Permanente; Academy for Professional Excellence, Project MASTER; Child and Family Policy Institute of California; Sacramento Financial Abuse Specialist Team; and continuing education in Aging and Long Term Care for mental health professionals. I have worked with Dr Hellman for years. His trainings are informative, easy to understand, and well received by participants. He has an informal, common sense approach with an engaging, energetic, and humorous style. He shares his personal and professional experiences in ways that reinforce important learning points. His enthusiasm and knowledge of working with the elderly is exceptional. Fantastic! Dr Hellman’s presentations are not only entertaining and educational, but the audience was spellbound. This was our best conference over the past five years thanks to Dr Hellman. He is a great teacher. 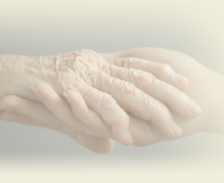 Private Practice dedicated to advising elders, caregivers and families in case management and advocacy for elders with a range of conditions. Dr Hellman was kind and generous in his approach with my elderly mother and my family during a time of difficult transition. His practical and direct approach helped us cut through the bureaucracy of her health and residential care to provide an expedient and lasting intervention that allowed her to age in place. Dr Hellman was thoughtful and efficient in his systematic approach to advocating for my mother’s mental health needs. His interventions were spot on and contributed to improving my mother’s quality of life for the past five years. She is forever indebted to him.